Feeling tired, stressed or disconnected with God? In this devotional, authors Pam Farrel and Dawn Wilson provide real-life stories mixed with a splash of humor and an encouraging word from God to help women get through hectic days. Joy from God, unlike the fleeting happiness of the world, transforms the soul and helps to heal frazzled, broken women. A cheerful heart is still good medicine (Proverbs 17:22), and women need it in megadoses! 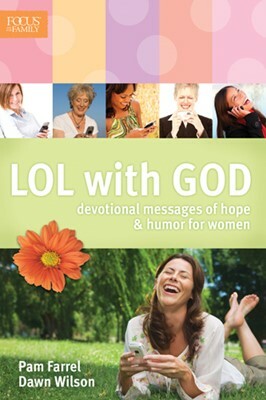 There will always be a need for humor to cheer our hearts, and when that humor is paired with powerful truth principles from Scripture, women will be revived and refreshed. To make it fun, the authors have taken Scripture verses and made them into text messages similar to those you might see on your cell phone, but these are from God’s Word.